The strategy of the company’s development is to develop and manufacture both biosimilars and innovative biopharmaceuticals. The company actively invests in new developments and is one of the leaders in the Russian biopharmaceutical market. 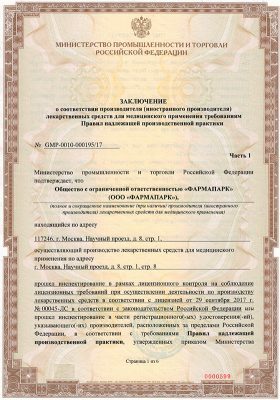 PHARMAPARK’s intellectual property is protected by international and Russian patents. The company has about 200 employees, 70 per cent of whom are university graduates, 19 employees hold Ph.D. degrees. The average age of employees is 38. The company makes special emphasis on product quality assurance. PHARMAPARK has passed national GMP and ISO certification and plans to get international certification. The company has implemented an electronic documentation system based on LabWare LIMS, PayDox, and Biomain software. The company markets APIs using its own resources, while finished medicinal products are marketed jointly with its strategic partner. 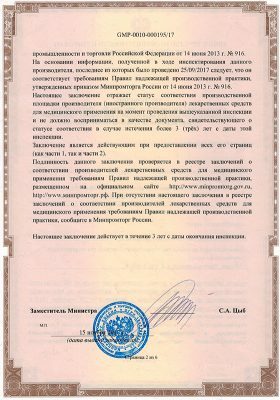 PHARMAPARK participates in the Federal Program “Development of the pharmaceutical and medical industries of the Russian Federation for the period to 2020 and beyond, Pharma-2020”, in the Comprehensive Program “Biotechnologies development in the Russian Federation for the period to 2020” as well as in other national programs of import substitution and social guarantees. Awards from the Russian Government, the Ministry of Education and Science, the Federal Service for Intellectual Property evidence recognition of the company’s achievements in research and technology.